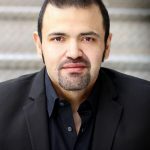 Lawrence Opera Theatre and the Lied Center welcome back KU alum and tenor, Hugo Vera after his debut recital in the Lied Center Pavillion last year. The program, “Music for a While,” features J. Bradley Baker on piano, and Jen Stephenson, soprano. The recital is at the Lied Center Pavilion on Saturday, April 21st at 7:30pm. A reception follows the program, and admission is free with suggested donation. The program features works spanning 250 years of European music, including some of Vera’s personal favorites by Purcell, Haydn, Bellini, Schubert, Verdi, Bizet and Puccini. In addition to lesser-known incidental music from Purcell’s The Indian Queen and a rarely-performed Italian parlor duet by Franz Joseph Haydn, Vera offers Art songs by Italian opera composer Vincenzo Bellini. A set of Schubert Lieder includes the iconic “Erlkönig,” considered by many to be the most challenging work for both singer and pianist in the entire Art Song canon. To open the second half, Mr. Vera will give a sneak preview of his upcoming recording release of vocal works by Russian composer and piano virtuoso, Sergei Taneyev (1856-1915). Vera is part of a large recording project showcasing all of Taneyev’s vocal works, which will be released in the fall of 2018. Composer Pyotr Tchaikovsky leaned on only a few trusted colleagues, and his most dependable source of support was Sergei Taneyev, who had been one of Tchaikovsky’s composition students at the Moscow Conservatory. Taneyev remained extremely close to his teacher after graduation and, a virtuoso pianist, he premiered both Tchaikovsky’s Second Piano Concerto and Piano Trio in A-minor. Although known for his works for piano, chamber ensemble and even chorus, very little has been written about Taneyev’s solo vocal works. Soprano JenStephenson, director of the Opera Program at Tabor College in Hillsboro, KS and a regular in recent seasons of Lawrence Opera Theatre concerts, joins Vera again in the second half of the program, featured during a set of opera arias and duets.